Chris Cummings, the founder of Pass It Down, poses for a photo at his office in Chattanooga, Tenn., Tuesday, Oct. 3, 2017. Pass It Down is a website specializing in archiving people's life stories. * May 2015 — Pass It Down formed to help families preserve memories. * June 2016 — Company selected to be part of GigTank Accelerator. * July 2016 — Pass It Down wins Audience Choice Award at Aging 2.0 Startup Search. * September 2016 — Pass It Down named one of six top start-ups in the nation in Miller Lite Tap the Future contest. * December 2016 — Work begins on greetingStory, greeting cards to collect memories of seniors. * February 2017 — Company expands into business to business with push called Knowledge Transfer. * May 2017 — Company starts working with the Chattanooga Public Library on citywide storytelling platform. Chris Cummings is a hard guy to pigeonhole. On one level, Cummings is a 30-year-old entrepreneur, an attorney turned businessman who heads a highly-touted start-up company, the digital story-telling platform Pass It Down. Put another way, Cummings has invented an entirely new profession — call it story-chaser — dedicated to helping people preserve perishable memories through technology and clever re-imaginings of old-school tools such as handwriting and print. 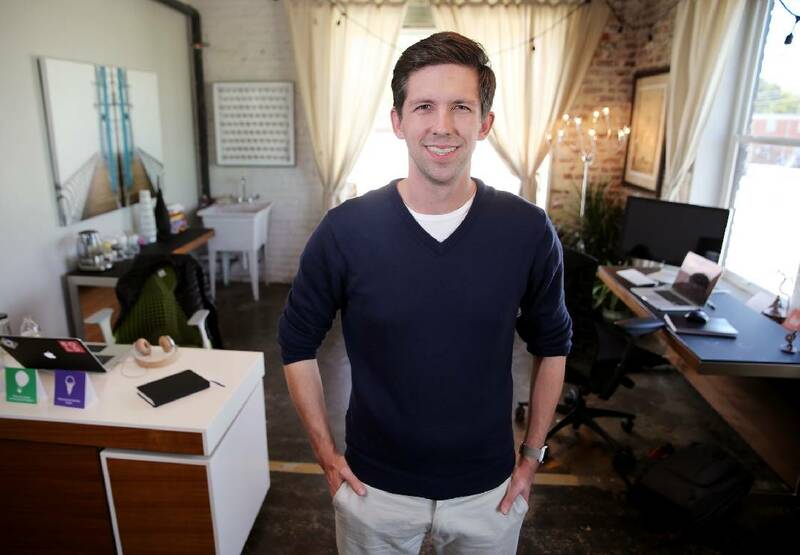 Cummings, the son of internationally famous motivational speaker and sales trainer Paul Cummings, has built a home for Pass It Down in a repurposed building near the intersection of E. Main Street and Holtzclaw Avenue. The Pass It Down home base is nested in a rabbit's warren of offices occupied by other creative ventures. At base, Pass It Down is a digital story-telling platform that helps people bundle their life memories into a digital scrapbook — think of it as grandma's attic renovated for the 21st century, without the faded paper photographs and dusty diaries. The emerging company has been a darling of the start-up community, winning raft of innovation awards and attracting significant venture capital. After a successful start-up and beta testing phase, Pass It Down rolls out this fall as $49-a-year digital subscription service with an optional print publishing component. Much of the momentum for Pass It Down owes to Cummings' skills as a pitchman, which were honed during years of advocacy as a lawyer working in the federal courts system and a high school and college career dedicated to competing in national debate and public speaking competitions. He says that his company is actually an outgrowth of his own life story and the challenges he faced growing up. Cummings' early years were spent in St. Louis, Missouri, where he attended big, comprehensive public schools with lots of resources. "My middle school offered eight languages, anything you can imagine," he recalls. In first grade he announced that he he wanted to be one of three things: a pilot, a professional athlete or a lawyer. Family members recall him as a precocious kid who memorized attorney speeches from the O.J. Simpson murder trial. When his parents separated during his middle teen-age years, Cummings and his mother moved to Louisiana. His late mother, who suffered with MS for much of her adult life, developed dementia at 47 and Chris became her caregiver. He says he was forced to learn how to navigate Medicaid and Medicare rules to help his mom receive the care she needed. During his high school years, he was a member of an award-winning debate team. In college, he was a six-time collegiate Louisiana state champion in public speaking. While he was in college, Cummings says he realized that his mother's memories were slipping away and he tried to hire a professional biographer to preserve her life story. The cost, several thousand dollars, was more than he could pay; and the experience planted an idea in his head: Everybody's life story should be preserved. As a young man, he realized that his mother needed legal assistance as well as medical help. When the time came to pick a college major, Cummings gravitated to pre-law at LSU. He later attended law school there, as well. After a series of clerking positions, including a stint the the offices of a Louisiana Supreme Court justice, he began a time spent practicing law. When his mother passed away in 2011, Cummings says he spent a year looking for direction — in retrospect he says he realizes he also needed time to mourn. At one point, he worked in partnership with his father, whose business focuses on sales training. Together, they built a successful online training venture called Woople, with Chris handling the tech side of the operation. Cummings credits his decision to strike out on his own to a discussion with a mentor who told him he could always be a lawyer, but he should spend his young-adult years taking risks. Pass It Down became the vehicle. Pass It Down recently completed a beta test phase to fine-tune its content. The platform tries to fill the role of a trained biographer by prompting customers with the kinds of questions that lead them to record their life's memories. Testing taught the company's leaders that asking customers to tell a "story" was intimidating, but nearly everyone would respond with stories when asked simply to share their memories. Pass It Down records memories using text, photography and videos. Company promotions tout it as like having "a biographer in your pocket." Using elements of artificial intelligence, the platform tries to dig beneath the surface to mine colorful memories. If, for instance, a customer reveals that they lived in St. Louis they might be prompted to offer any memory they have of going to a Cardinals game. Cummings said he consulted top biographers and leading oral historians to learn their best practices and to bake them into the Pass It Down software. People often believe they are documenting their lives through social media, he says, but many are coming to realize that applications such as Facebook are actually leading to superficial friendships and virtual experiences. "Facebook has the potential to bring people together," Cummings says, "but for the vast majority of people, it has actually driven them apart." As his company has studied the art of recording human memories, new opportunities have opened up. For older people, who may not be comfortable using computer technology, Cummings and his crew have come up with a series of greeting cards. Older seniors can record their memories using their own handwriting, the option most comfortable for them. The company is also experimenting with a corporate crowd-sourcing program call "Knowledge Transfer" to gather institutional knowledge from long-time employees of companies that can be arranged and published in glossy, magazine-style publications. Last month, Cummings announced a partnership with the Chattanooga Public Library called the Chattanooga Memory Project that will use a digital storytelling platform to collect thousands of memories from Chattanooga citizens in hopes of creating a map-able history of the city. Singapore is the only other city in the world known to have tried such an audacious experiment. "Chris understands how important storytelling is in telling a city's history," says Corinne Hill, director of the Chattanooga Public Library. "He especially understands it from a digital perspective. When the Library began looking for a platform for our Chattanooga Memories Project, we found Chris and Pass It Down. It is a wonderful collaboration and we can't wait to launch."